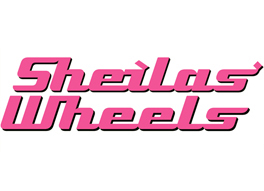 Although Sheilas' Wheels is known for its pink-themed advertising and insurance policies aimed at women, it is available to all genders. Sheilas' Wheels started in 2005, and also offers home and travel insurance. You can get a tailored quote on their website. Since 2011, Sheilas' Wheels has been a sub-brand of Esure, and its car insurance is underwritten by Esure Insurance Limited, and its breakdown cover is underwritten by UK Insurance Ltd.
Sheilas' Wheels car insurance policy is very similar to that of Esure, but is more tailored to women: for example, it includes handbag insurance for loss or damage to a handbag and its contents up to £300 as standard. Find out if Sheilas' Wheels made it into our top 10 car insurance policies. 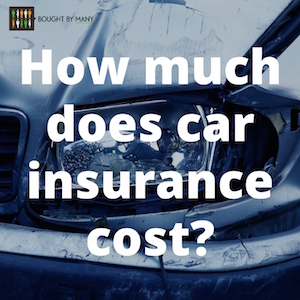 Find out what makes a good car insurance policy in this article and find out about the best breakdown providers here. How much does Sheilas' Wheels car insurance cost? The cost of Sheilas' Wheels car insurance depends on a number of factors, including your age, address, the model and age of your car, and the level of cover chosen. Sheilas' Wheels states that 10% of new customers paid £181 for their car insurance in July 2016. Find out how much your quote will be on the Sheilas' Wheels website or check what car insurance usually costs here. What do customer reviews say about Sheilas' Wheels car insurance? On Reviews.co.uk, Sheilas' Wheels car insurance has an average rating of 3.96 out of 5, based on 160 reviews. On TrustPilot, Sheilas' Wheels has a score of 4.1 out of 10, based on 28 reviews. What do experts reviews say about Sheilas' Wheels car insurance? On independent financial review site Fairer Finance, Sheilas' Wheels ranks 25th out of 51 providers. Independent financial researcher Defaqto has rated Sheilas' Wheels car insurance policy as 5 Star. Get an online quote from Sheilas' Wheels.